Professional Fleet, Truck and Trailer Painting and Collision Center! For the best truck and fleet painting and collision repair in Kissimmee Florida, contact Florida Truck and Trailer. Whether you are near South John Young Parkway, the Florida Turnpike or W Osceola Parkway, we can quickly assist you with professional, affordable, precise and fast fleet, truck and trailer painting and collision work. We can paint your equipment to meet any design specification or match your fleets colors and manufacturers specifications. We use only the best Dupont paint to insure your vehicle receives the highest quality finish. Whether Single stage, Base coat – Clear Coat systems, we mix all our paint on site. With the use of our color matching camera equipment we can insure your job will be performed to rigorous standards providing you with a perfect match and a thoroughly cured paint job. At Florida Truck and Trailer we understand that when a vehicle is not on the road, your bottom line will suffer. We excel in providing expert cost effective, convenient and comprehensive services that keeps fleets and independent heavy equipment operators productive. Why Choose Florida Truck and Trailer? 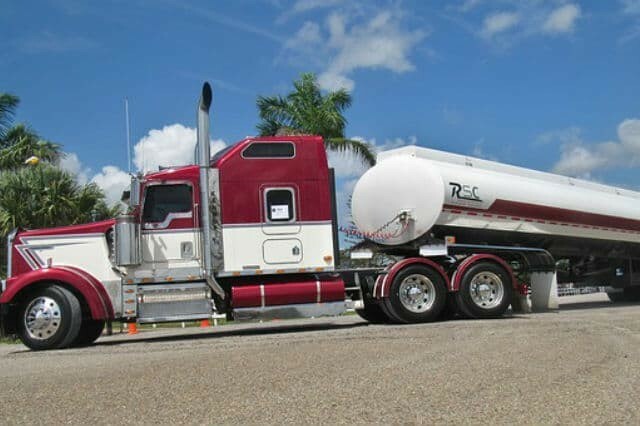 Whether you are an independent truck operator who’s poured his life’s investment in to his rig, or a company with a large fleet of semi-trucks, Florida Truck and Trailer will treat you with the same level of respect and care. We are passionate about helping the hard-working men and women of our country’s trucking industry. We know that our nation’s economy relies on keeping these semis on the road and that’s why we are serious about keeping your truck looking and running like new. So, when your truck or trailer is in need of painting, look no further than Florida Truck and Trailer to get you back on the road looking like new. If you were involved in an accident, we can assist you with all aspects of insurance claims to limit the down time of your truck and get you back on the road as soon as possible. Call us today at 863-533-8319 or stop in to see our state of the art facilities at 3500 State Road 60 East, Bartow Florida.